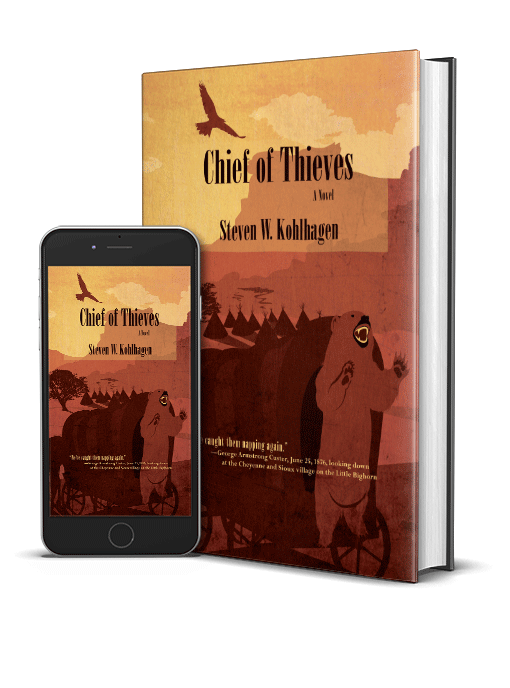 “Kohlhagen doesn’t shy away from the ugly history of the American West in this novel about white settlers in nineteenth-century Oregon and Wyoming. 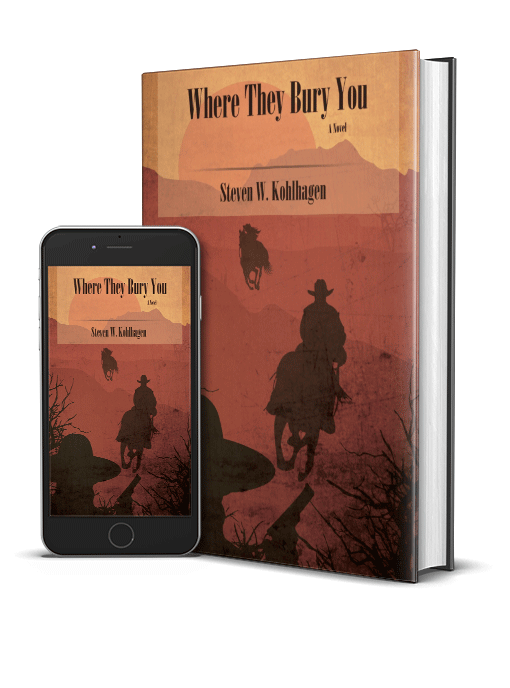 Following up his work of historical fiction, Where They Bury You, Steven W. Kohlhagen continues the Wild West saga of Lily Smoot and Augustyn P. Damours, opening with the lovers traveling the wild frontier of Colorado to the Oregon Trail. But the pair are on the lam, fleeing New Mexico with almost $40,000 purloined from their con-artist cohort, Major Joseph Cummings, who has recently been shot dead. Lily, ex-prostitute and poker dealer, and Augustyn, army lieutenant and card sharp now known as Gus Smoot, are headed for Washington Territory to take up ranching. Spanning 1863 to 1876, Kohlhagen’s narrative follows the couple through Colorado and Wyoming and on to Oregon. There they homestead, but Gus is no rancher, preferring to scout for the army. Lily relies on Joe Lincoln, an escaped slave, as ranch foreman. Dissatisfied with Oregon, Lily returns to Wyoming’s Chugwater Valley, lush grassland between Cheyenne and Laramie. Gus follows, but he remains restless, continuing scouting. Kohlhagen uses meticulous research to blend historical and fictional characters. For example, Damours was an army lieutenant and general’s aide who mysteriously disappeared. Well-known figures appear—Crook, Custer, Black Kettle, and Sitting Bull—as well as seminal settlers like John Iliff, one of the region’s first ranchers. Kohlhagen also employs two Cheyennes found in historical documents, Antelope and Thunder Bull, for perspectives on tribal life and reactions to settler encroachment. Not shying away from ugly history, Kohlhagen delves into the Sand Creek and Washita massacres, along with the hubris leading to Little Big Horn—all while focusing an empathetic eye on rough frontier justice. More than one rustler or thief dies, and an OK-Corral-style shoot-out ensues when a bounty hunter in pursuit of Gus confronts Lily and Lincoln. 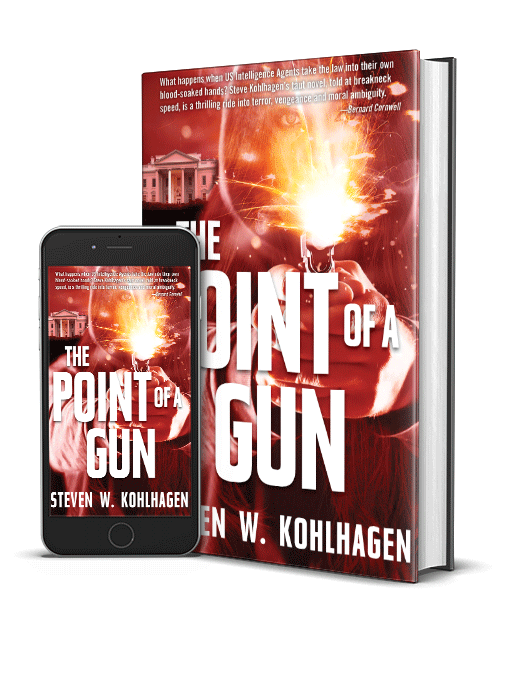 The character development would be improved had Kohlhagen offered more backstory, especially in giving a clearer sense of the crime that financed the pair’s dream. That said, Lily is a character to root for—strong, independent, intelligent, and determined. That she loves Gus is evident, but the book fails to show interactions with her children. Gus is a maverick-style lovable rogue. African-American Lincoln hears the n-word, but Kohlhagen doesn’t delve deeply into the importance of blacks in western settlements. More literary descriptions would give nuance, color, and depth. For example, ranchers hunt for winter food, houses are built, and there are days on the trail, but there’s little about how or what it required to survive day to day. Kohlhagen’s novel, with glossary, maps, and notes, has only minor editing flaws, and the author shows great familiarity with the west, its settlers, and Native Americans.